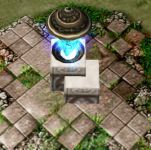 This is the discussion thread for the tower update Tiny Storm Lantern (1834). Balance changes! This will be the only member in a new thread, just so that people can compare it. Last edited by Glowackos on Fri Sep 19, 2014 1:07 pm, edited 2 times in total. Also, how did you update this? Because the old one still says "in the map". Did you use the "update in separate topic checkbox?" Not a real issue as we can just decline the other, but I'm curious. I used admin and update in new thread... didn't think that it would react like this. Mostly did it this way so that discussion is relevant to new version. Alright, yeah so probs a website bug. does it hit the same target if no other creeps are around? Does it have to finish spawning the extra attacks b4 it can shoot main attacks again? Extra projectiles are able to hit the main target multiple times. Extra projectiles are not actual attacks, they do not stop the tower from attacking. Just to make sure: the extra projectiles dont trigger anything like tombstone/stunner/... but can crit independently or are thy dependent of the real attack? Open call/question: What do people think of this. I've found it really underwhelming in practice..... Tried to make it work, haven't succeeded. Maybe +1 projectile each 5 levels instead of current proj count bonus? Another option could be some extra effect. Like, extra projectiles apply stacking 1% increased damage taken from Storm towers (or Energy-based) for 2 seconds each. Main attack doesn't apply debuff.